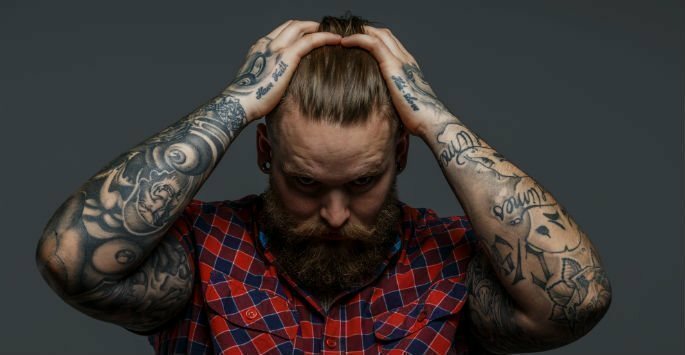 Although only 25 percent of the U.S. population has tattoos, it is estimated that at least half of this group has one that they regret. Tattoo ink is etched permanently into the skin and has traditionally been difficult to treat without extensive pain and healing, but at Artisan’s Rejuvenation Spa, our sophisticated laser tattoo removal system can safely and effectively remove unwanted tattoos completely and comfortably. Located in College Station, Texas, Artisan’s Rejuvenation Spa is led by Dr. Ricardo Pocurull. Contact us today to schedule a consultation and find out how laser tattoo removal can clear your skin of tattoo ink so you can stop covering up your unwanted tattoos and show your skin again. Although tattoos are designed to be permanent, advances in modern laser technology now make it possible to completely remove tattoo ink from the skin without extensive procedures or pain. Using a handheld laser device, our medical team will emit high-intensity laser pulses into the skin. This procedure is typically well-tolerated, with most patients comparing it to having a rubber band snapped lightly against the skin. What colors are included – black ink is absorbed by all laser wavelengths, but other wavelengths are required for other colors such as a reds and yellows, which are more challenging to remove from the skin. During your consultation, our medical team will expertly evaluate your skin and discuss how many sessions you may need in order to completely remove your tattoo. While some tattoos can be removed from the skin in as little as two to four sessions, some larger ones can take up to 10 sessions to complete. Our medical team is experienced with the full range of skin types and will tailor your treatments to your individual specifications in order to maximize results and minimize side effects. Throughout the laser tattoo removal treatment, your safety and comfort will be accommodated for an overall relaxing, professional experience. Major side effects are rare, but treated areas may appear flushed or red after treatment. During your consultation, our medical team will discuss safety information with you as well as all possible risks that may apply. Schedule a consultation and find out how laser tattoo removal can clear your skin of unwanted tattoos with maximum results and minimal healing.